Home / Indonesia / product or service reviews / Travel and Living / Malaysian Airlines ill-treats Indians, gets legal notice! Malaysian Airlines ill-treats Indians, gets legal notice! Malaysian Airline wasn’t having a good time anyway but 2014 was really bad year for the airline, with two full body losses- MH370 and MH17- unprecedented in the history of aviation. While large bunch of passengers lost confidence in the airline and stopped booking on it, a good number of travelers, including many Indians felt sympathetic for the airline and continued booking on it, without any hesitation, even when they had much better alternatives via key rivals in the region Singapore Airlines, Thai Airways or even the budget rival Air Asia. But it looks like Malaysian airline hasn’t got its priorities right. About a month ago, while returning from Bali to Chennai, there was a major delay in MH850 (DPS-KUL). 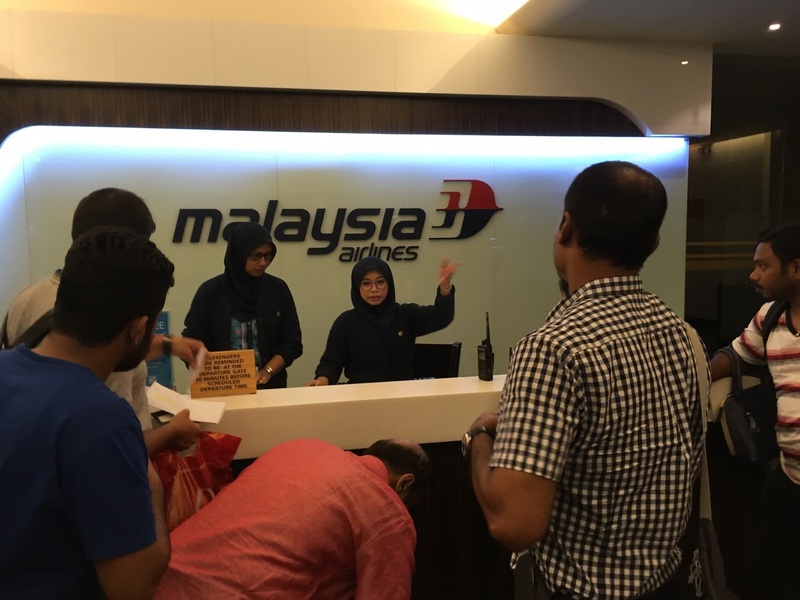 My friend and lawyer Raja Selvam who had bought ticket on this flight to fly back home was subjected to poor treatment by the staff of Malaysian Airlines, denying basic courtesies such as information, food and accommodation. I was also returning to Chennai on same day, but via Air Asia- I met him at the Bali airport as his flight was delayed for several hours. Later that night he had even more inconvenience and harassment at Kuala Lumpur (I couldn’t meet him there as I was in KLIA2 while he was in KLIA). Because of major delay in MH850, Raja Selvam missed his 10 PM connecting flight to Chennai. So did hundreds of other passengers and had to spend min-10-12 hours through the night or more till next flight to their destinations. Malaysian airline is a full service airline, which is expected to take good care of passengers in case of missed connections or delays. But somehow the airline appeared to be least interested in the comfort of its passengers, eliminating in any chance of those passengers or their friends ever booking Malaysian airlines in future. Almost all of us have undergone similar experiences with various airlines-most airlines want money from Indian passengers but don't want to offer best of their services to Indians. They deploy oldest of their aircraft to India sectors, do not treat Indians at par with westerners when it comes to hotel accommodations/alternate flights or upgrades. (Here is a news on Air France) Most airlines think Indians either don't deserve it or they will somehow adjust without making a noise. Once we somehow reach our destinations, we are all busy with our work and no time or energy left to follow up with the airline for the mistreatment and seek compensation. Most of us will make some facebook posts to vent our anger at the best that will soon be forgotten. But then one Indian attorney has decided not to let it go. Mr Raja Selvam, a patent and IP attorney who was attending an industry conference in Bali and ended up becoming victim of Malaysian Airline's poor service, has sent a legal notice to the airline in this regard. As his first leg was delayed due to engine problem, he missed his connecting flight to Chennai and to make things worse, airline couldn't arrange proper accommodation or lounge access, food and refreshments, coupled with abusive language and poor treatment by ground staff. Mr Raja has carefully documented every development of that night, supported with photos and videos. He has sent all these evidence to Malaysian airlines in his legal notice and has sought an apology and compensation. I am eager to see how the airline responds to this. I will keep you posted. From the legal notice, I could list following 3 major international agreements, rules and guidelines that reinforce passengers' rights in case of major delays or cancellations. If you are ever ill treated by an airline, try quoting these! Delays and various other issues are common in service industry- particularly airline industry. It is impossible to maintain 100% reliability as there’re dozens of agencies and factors that can cause a disruption. Whoever identified that Engine fault in right engine of MH850 and decided to cancel take off did the right thing- it is safer to be delayed but be alive on the ground than risk take off with a faulty aircraft. But what is shocking is the way airline staff dealt with the aftermath. I am sure they would have handled 100s of such situations before and should have had proper process and procedures in place to ensure passenger comfort. Somehow the staff who were face of the airline either lost their cool or used this opportunity to vent their own frustrations against their employer. The particular Bali-KUL flight of Malaysian Airline was code share with Emirates and few other airlines- not sure if Emirates passengers were also subjected to same level of treatment or better. -Take help from a lawyer friend and send legal notice or file case in consumer forum. -While selecting the transit hub, if the transit country gives visa on arrival or if you already have a visa of that country, then that airline can be a better choice than an airline who’s hub country doesn’t give easy visas. Comparatively, budget airline Air Asia treated us relatively better when we had a major delay in Macau in June 2016. Disclaimer: I was personally not a party to this Malaysian Airlines experience. This post is drafted based on the experience of Raja Selvam and his legal notice to the airline, (a copy of which I have read). I was also a witness to the delayed departure of MH850 at Bali as I was also traveling back on the same day and have verified all information to the extent I could. Thats very sad. I have used the malaysian airlines once. I was under impression due to Indian Population in Malaysia they must be friendly with Indians. Yes, unfortunate. Intentionally or not they managed to upset hundreds of passengers and lose lots of future business, in an attempt to save a few dollars on hotel and food. Clearly MAS dont seem to be in any mood to recover from their downward spiral and are determined to stay on course. Thanks for your detailed comments. Yes, some Indians do not behave well and operating an airline is a complex task with so many dependencies and uncertainties. But then, airline needs to ensure basic comfort and convenience of its guests if it wishes to retain their patronage.